On our last night we were pretty worn out, but needed one last fun meal before we return home. 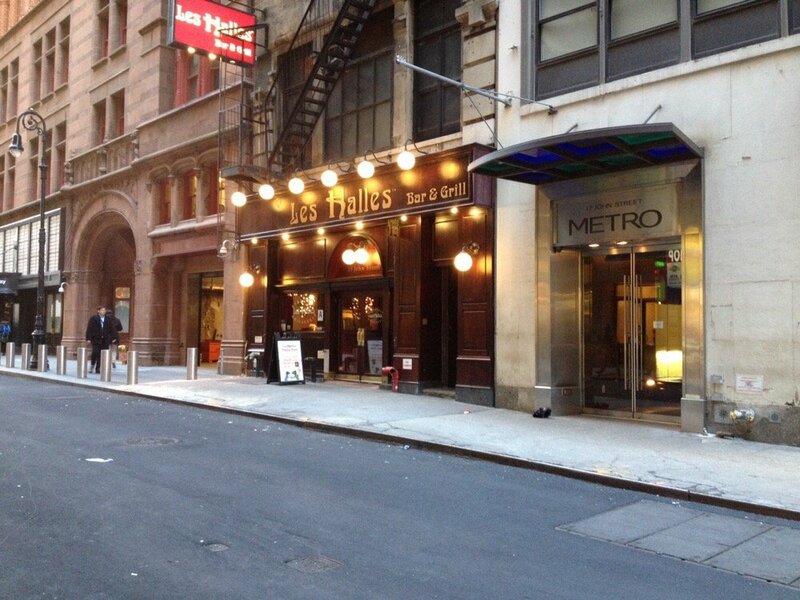 I knew Les Halles was just two blocks away, so I suggested we dine there. 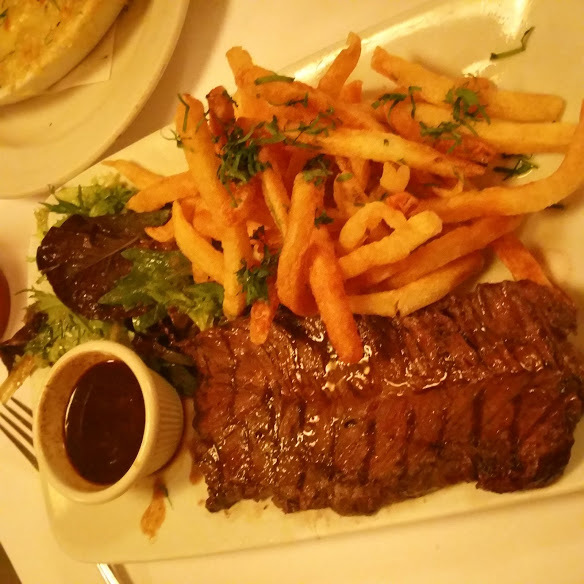 Foodies know that the famous or infamous Anthony Bourdain was once the chef at the Park Avenue Les Halles, many years ago. I was lucky enough to have eaten at that location when he was in charge and I never forgot how very much I enjoyed everything about the experience. Now I actually prefer the downtown location. It is still busy and very trendy, but a different crowd, more mature, less touristy, a bit more classy. 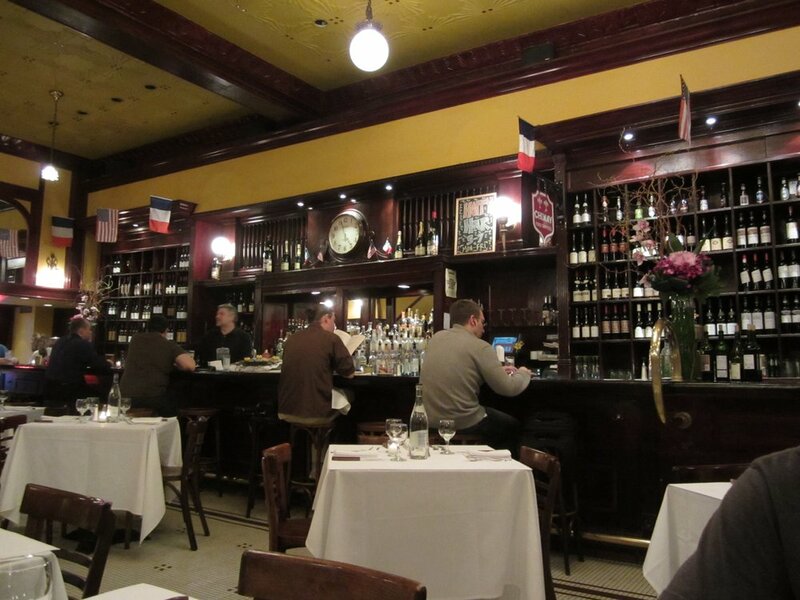 The interior exudes an old world French brasserie style, relaxed setting, professional service, printed menus, and, traditionally, white linen and serve the same menu all day. Dark wood paneling, checkered marble floors. 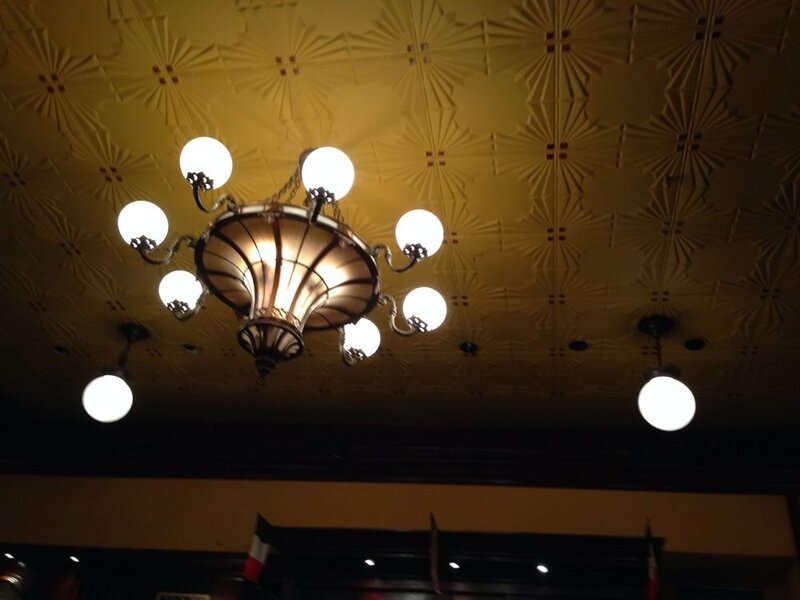 and beautiful lighting. 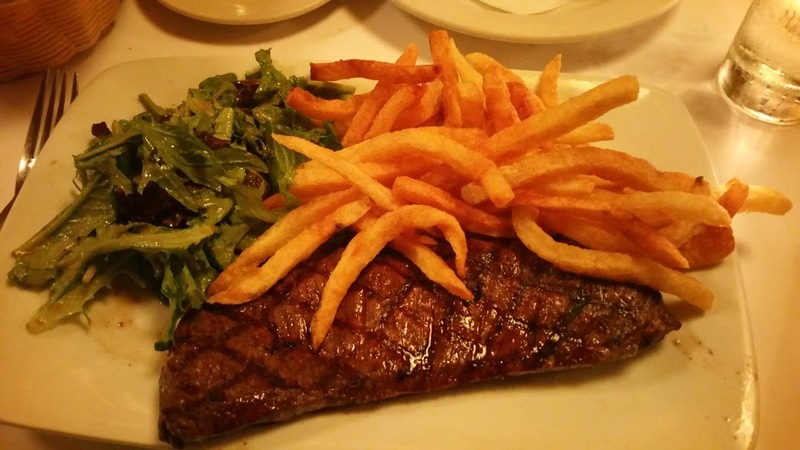 A classic brasserie dish is steak frites and that’s what we were there for. Both restaurants have high Zagats ratings if that counts for you. 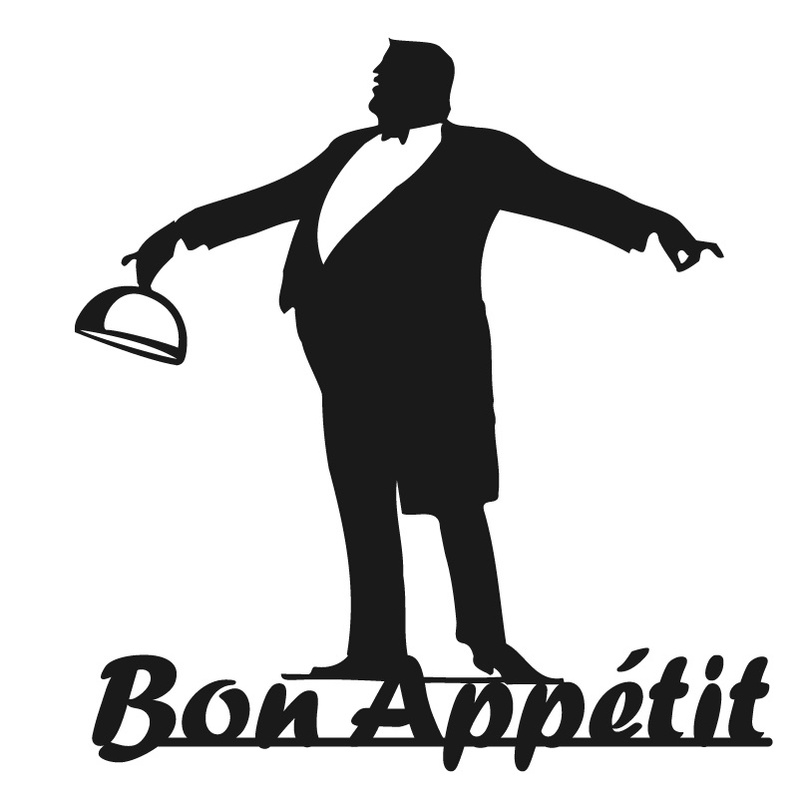 So it goes without saying service is impeccable, wait staff do everything but feed you. I love it. Prompt, courteous, informed. We were given our menus, drink orders taken and bread delivered in on easy motion. The wine list is amazing by glass and especially bottles. 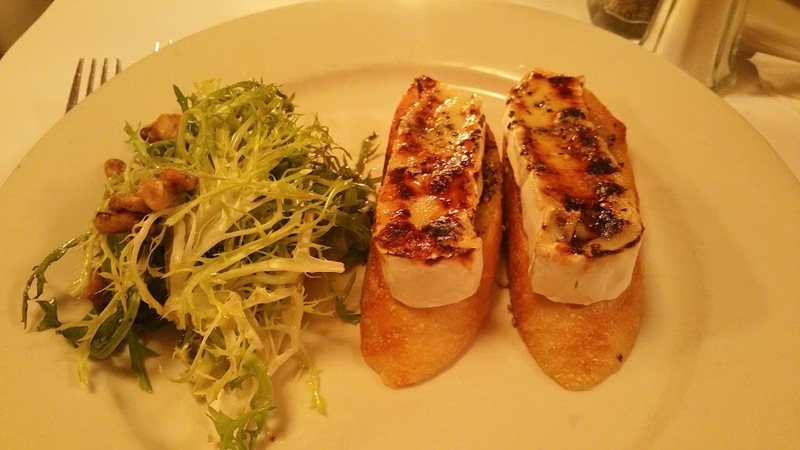 We started with French Onion soup and Brie with honey & cracked black pepper roasted on croutons. 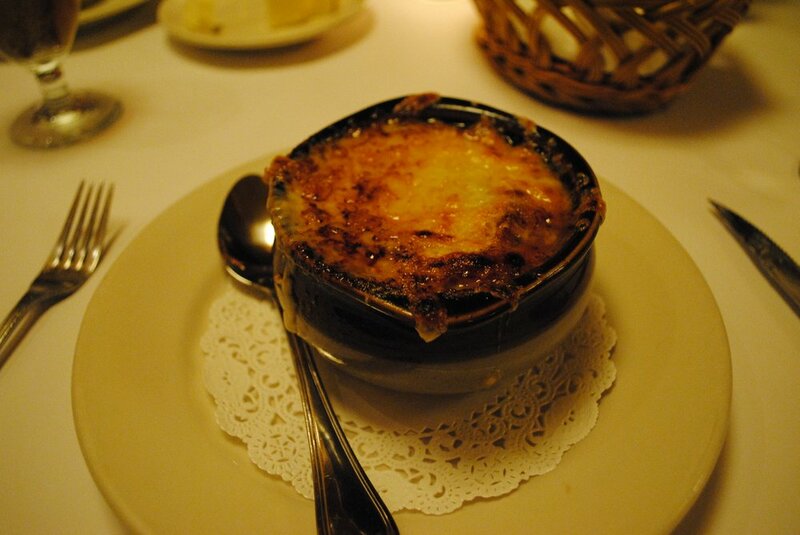 The soup is the best I have ever experienced, and the brie, not the usual clump of dough covered cheese, but well presented thick slices of toasted french bread covered with a healthy portion of cheese baked and dripping with honey. Meat was tender, full of flavor and cooked to perfection. Fries, the best you will ever taste, I have no idea what the process it to get them to this state but is amazing. 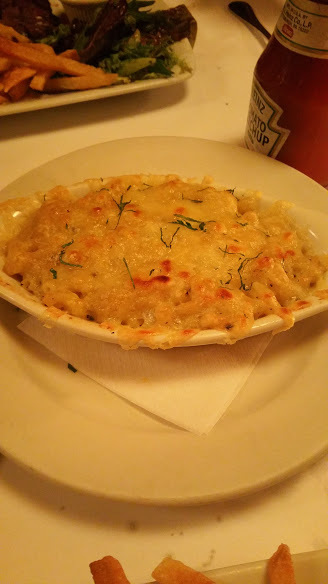 Mac and Cheese rich, creamy and not heavy on the truffle side. 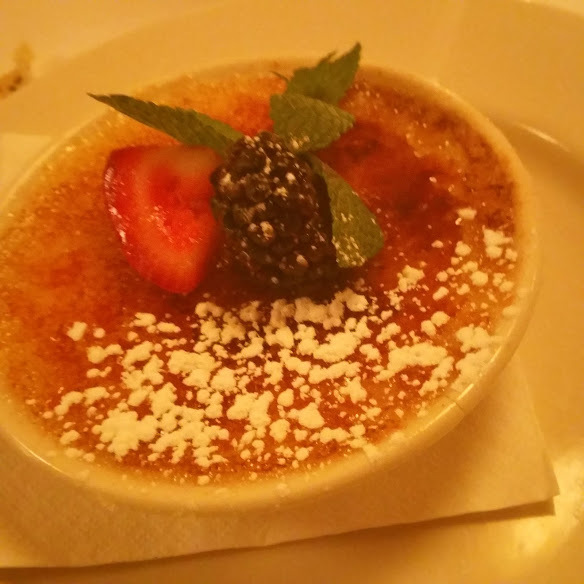 Once we satisfied ourselves, we dared to move on to dessert, Crème Brûlée and Chocolate Mousse we are creatures of habit when it comes to sweets. 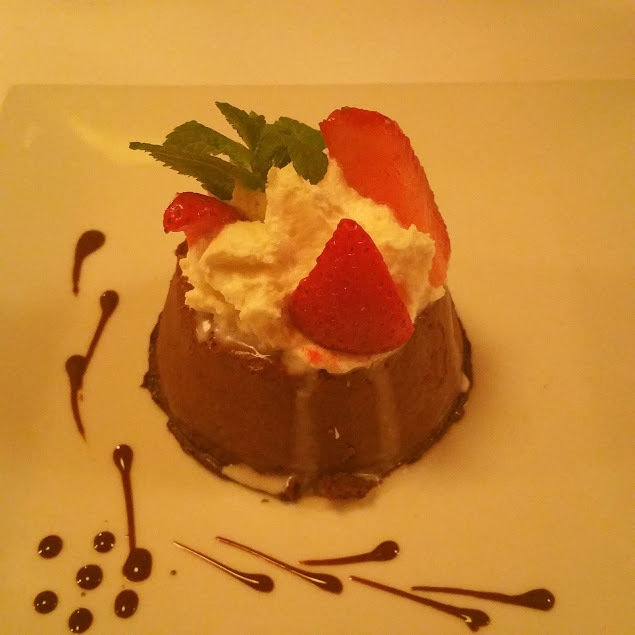 Once again presentation was stunning, on both dishes the visual was a promise of something wonderful to come and it did. We congratulated ourselves on the good fortune we had just experienced, and toasted to a wonderful week in the City. This spot is certainly worth the trip down town, and I would recommend it over the Park Ave location, but there is always the option of doing both, compare and contrast your findings over some late night street food.